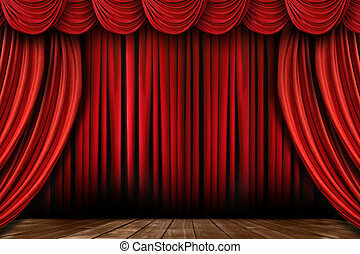 Theatre stage. 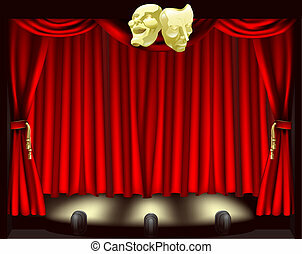 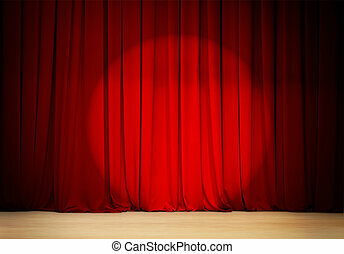 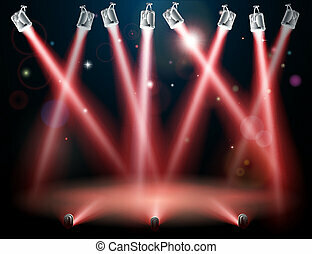 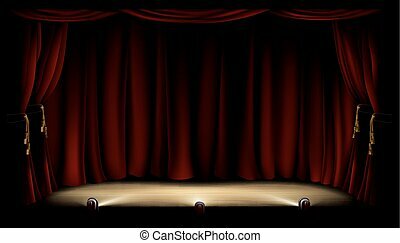 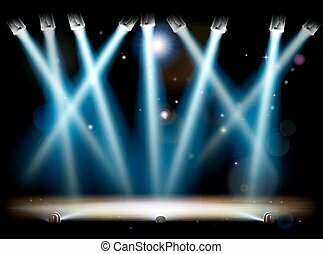 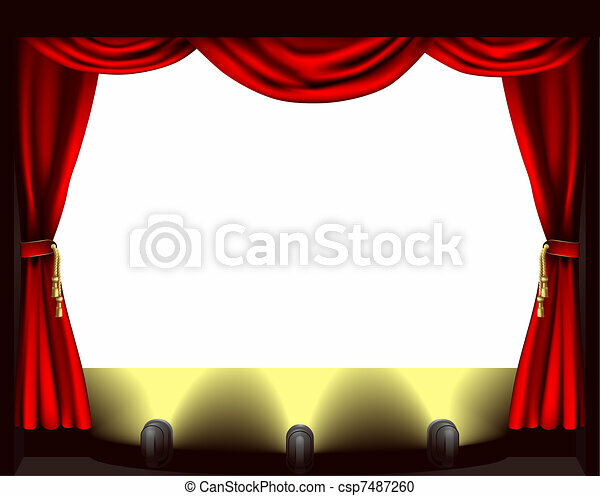 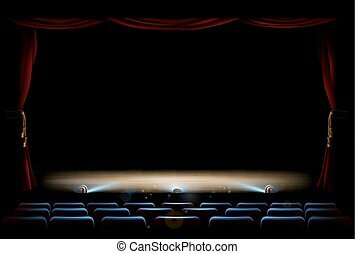 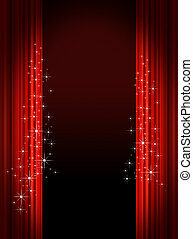 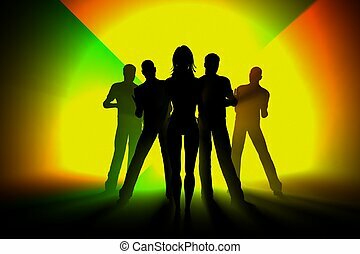 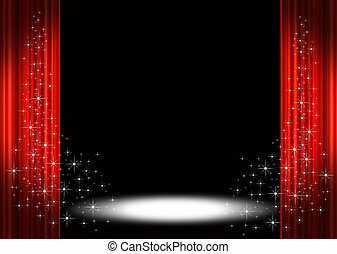 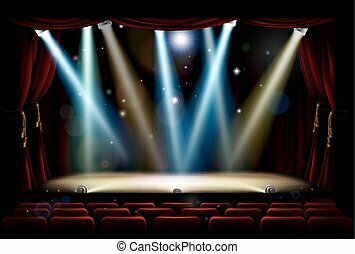 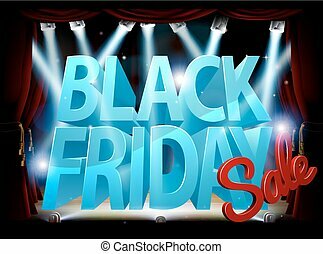 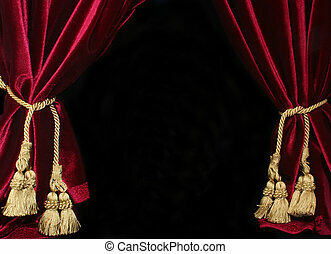 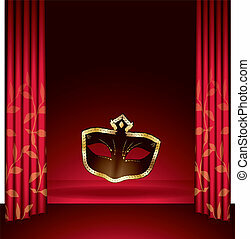 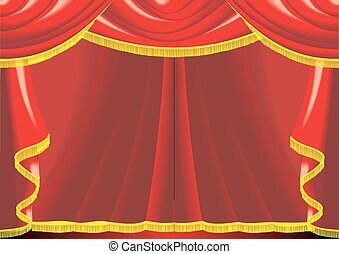 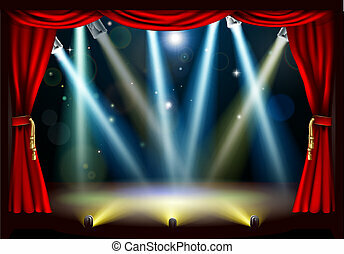 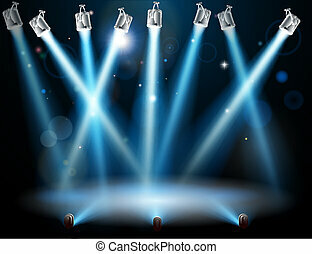 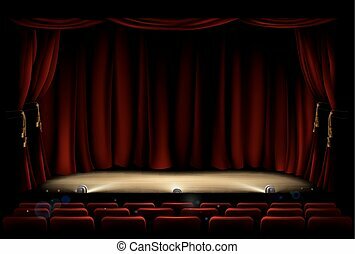 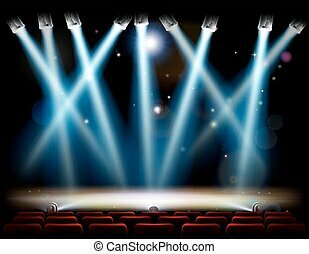 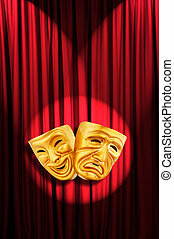 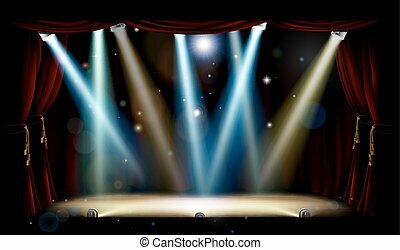 A theatre stage, lights and curtain illustration. 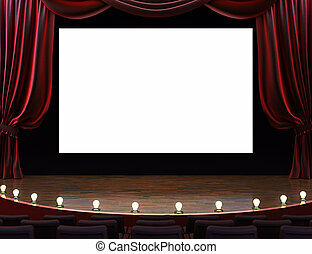 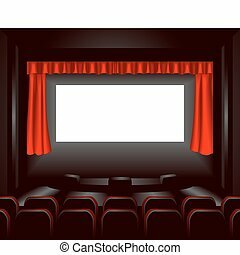 Cinema movie theater with curtains, screen, seats and lighted stage. 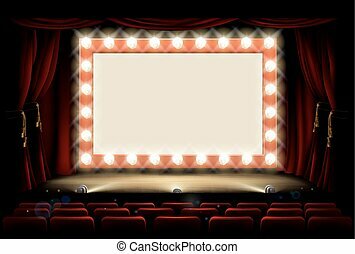 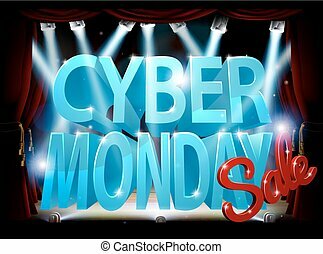 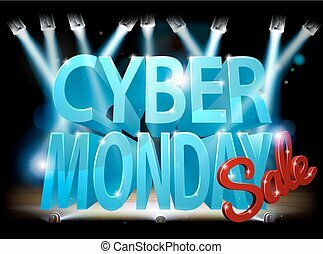 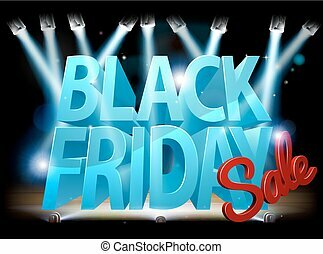 Room for text or copy space advertisement. 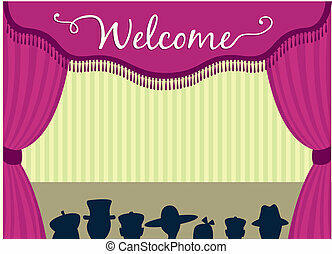 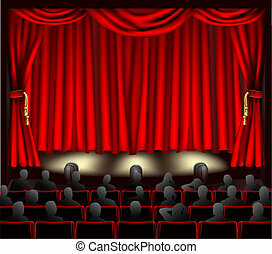 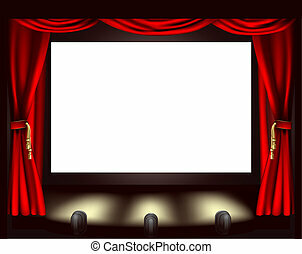 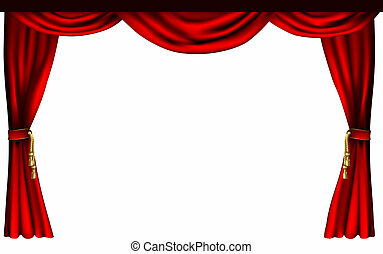 Illustration of theatre with curtains and audience. 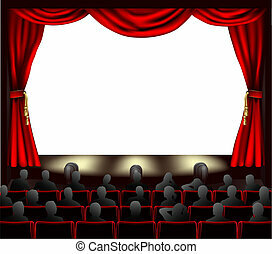 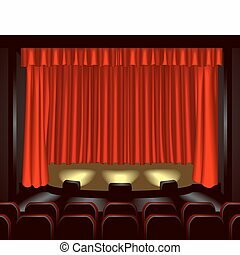 Cinema with curtains and audience. 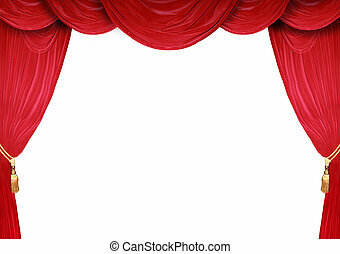 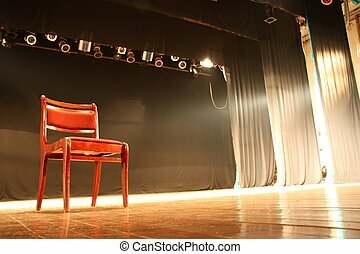 Space to place anything on stage.